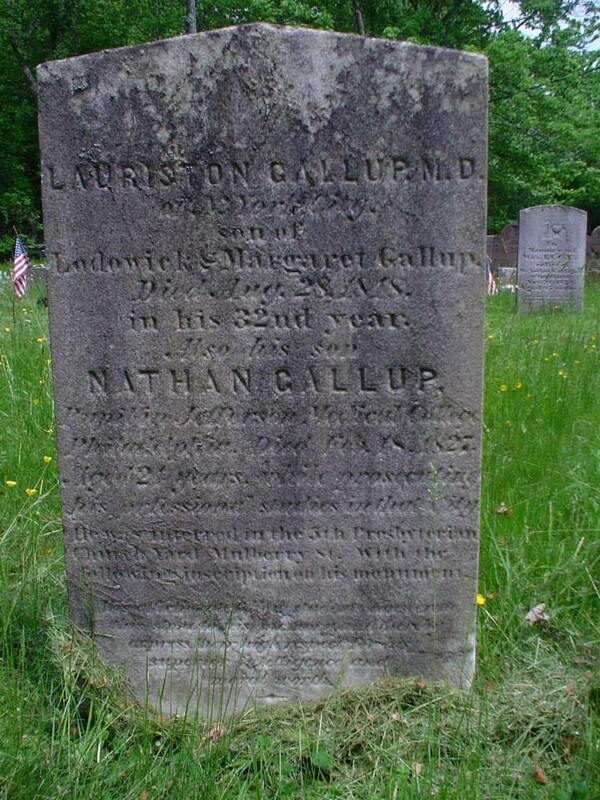 Lauriston Gallup was born on 15 Nov 1816, as the eighth child in his family. His parentswere Lodowick and Margaret (Phelps) GALLUP. When he died, he was a resident of New York City after graduating from Castleton Medical College in December of 1843. Castleton Medical College is in Vermont. He practised medicine in Oran,New York from 1843 until his death on 28 August, 1848. He was unmarried at the time of his death. He was 31 years old. I do believe he is buried in the Gallup Cemetery and this stone marks his burial but whether he died in New York or in Connecticut is unknown.